Fix the economy, in this sci-fi RTS at least. 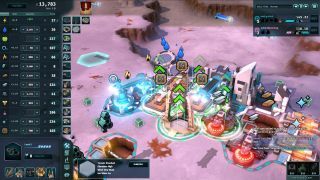 Some of history's best strategy mods have been made for Civilization IV, so I'm hopeful we'll eventually see a similar situation for another Soren Johnson strategy-'em-up: this year's Offworld Trading Company. The Mars-set, economy-driven RTS has just been given Steam Workshop support, meaning you can tinker with its XML data and even dive into its code, before easily sharing your creations on Steam. There are a whopping three mods available on there at the moment, including a fan-made Endless Mode—but then it's only been three days since the update launched. If you're interested in making some yourself, you'll want to give these tutorial videos a watch; meanwhile, if you're interested in buying OTC, there's a 66% discount on Steam for the next few hours.